Hugh Sharber and Scott Parrish. 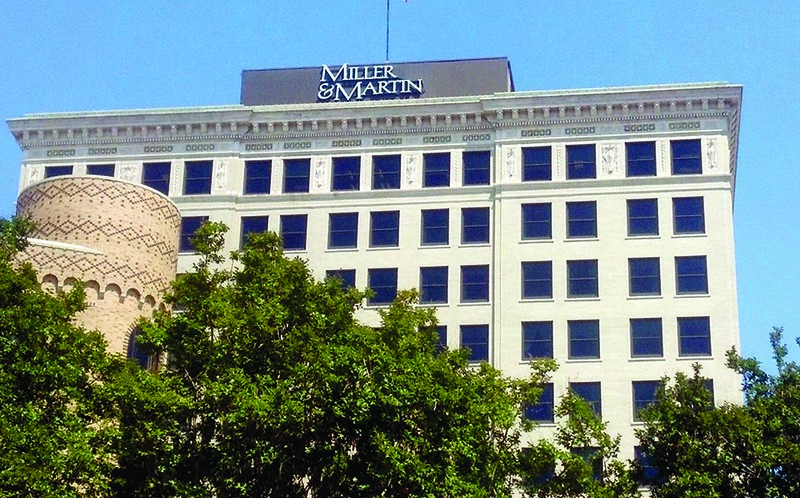 The proud history of Miller & Martin in Chattanooga began in 1867 when Virginia native Colonel T.M. Burkett, the son of a Methodist minister, entered into a law practice with several other attorneys in Athens, Tennessee. In 1889, Burkett hired his nephew, W. B. Miller, the son of a Confederate veteran, and tasked him with opening an office in Chattanooga. In 1905, Miller tried a significant case against Francis Martin, another prominent Chattanooga attorney. A friendship, born of mutual respect between adversaries, resulted from that litigation. Miller’s sons, Burkett and Vaughn, became friends with Martin’s son, F. Linton Martin, and entered into a lasting law partnership that became Miller & Martin. 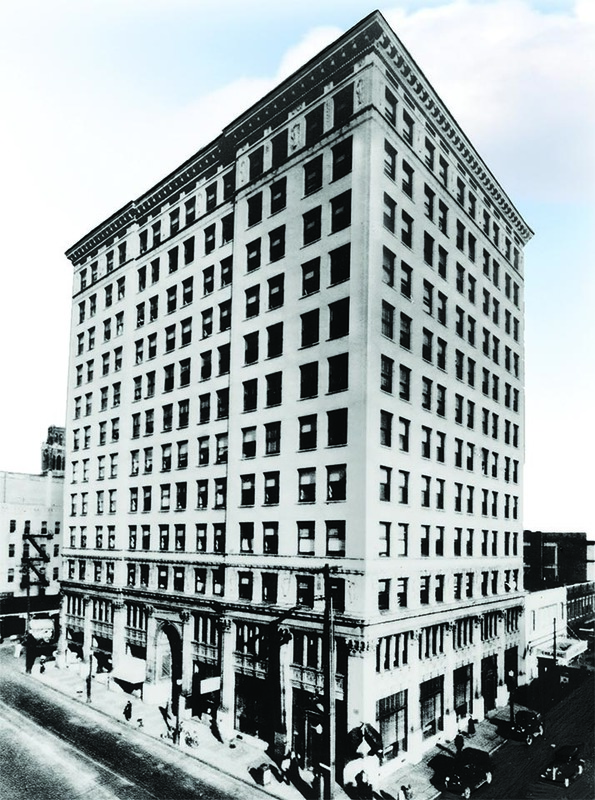 The firm’s attorneys became trusted advisors to business leaders during the early growth and ongoing transformation of the community, including the involvement of its attorneys as executors for the Cartter Lupton estate, in major banking shifts, the consolidation of much of the nation’s Coca-Cola bottling operations, and its founders’ roles in establishing several Chattanooga cornerstones that still exist today. Miller & Martin’s founding partners instilled two core values into the firm’s culture that remain relevant in its culture today – excellent legal service and care for the community. 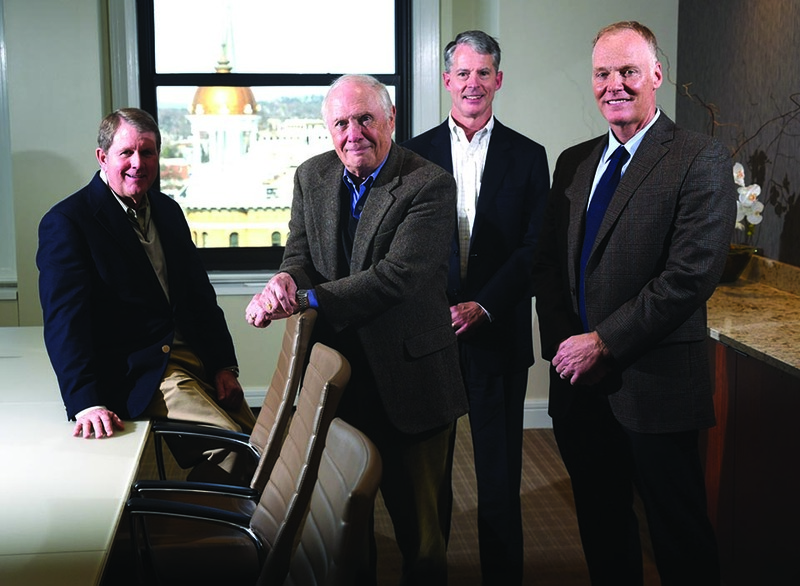 Today, Chattanooga’s oldest law firm is a leading Southeastern firm with four office locations. Miller & Martin attorneys are committed to understanding each client’s objectives in order to help them grow and prosper. The firm’s commercial, corporate, and litigation attorneys have built their reputation on providing sound legal advice to a client base ranging from large, international organizations to local, entrepreneurial companies. The firm has established relationships with numerous legal and professional organizations, including international associations, local and state economic development agencies, and chamber-based business groups that help its clients and business communities thrive. Miller & Martin is also a member of the World Law Group, an international network of 57 leading independent law firms with approximately 360 offices in 76 countries, which provides added resources for clients with global operations and concerns. Miller & Martin’s 150-year legacy is built on serving and supporting the communities in which its attorneys live and work. The firm recognizes, encourages, and supports its attorneys and staff in their efforts to contribute to their communities, helping enrich the quality of life for others. Serving the community is an obligation of Miller & Martin attorneys that is supported firm-wide. Collectively and individually, Miller & Martin personnel are involved in community service activities, touching real-world concerns such as children’s issues, education, housing and health issues, the arts, and more. In addition to the firm’s active involvement and leadership contributions in numerous bar associations and civic organizations, Miller & Martin attorneys donate hundreds of hours annually providing legal aid and pro bono representation for individuals who are unable to afford legal services. The commitment to providing high-quality legal services and the practice of servant leadership has resulted in a plethora of accolades, including 54 of Miller & Martin attorneys being named “Best Lawyers in America” in 2017; Chambers and Partners® recognition as a leading firm in the areas of labor & employment, corporate mergers & acquisitions, and general commercial litigation; 2016-2017 BTI rankings recognizing the strength of the firm’s client relationships and brand; U.S. News & World Report’s 2017 “Best Law Firms” and numerous other national and regional distinctions.